The Mutual Fund Dealers Association of Canada (MFDA) has permanently prohibited Robert William Copland from conducting securities-related business in any capacity while employed by or associated with any MFDA member. 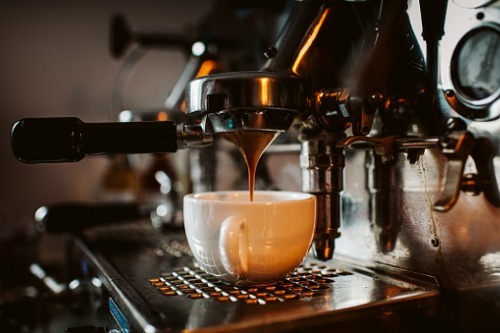 The association issued the sanction after finding that from around June 2013 to October 2015, Copland recommended, sold, or facilitated investments by several clients in a retail coffee shop business and a coffee-product supply business. According to a Notice of Hearing from the MFDA, he established the coffee-product supply business, R&R, as a joint venture with a client in or about July 2013. On the other hand, the coffee-shop business, operating using the name “Mixed Bean,” was owned or run by Copland’s spouse and brother-in-law. “While meeting with prospective clients, the Respondent suggested that they purchase coffee products from R&R,” the MFDA said. From June 2013 to October 2015, he recommended, sold, or facilitated approximately $198,437 in investments in Mixed Bean from four clients. Over that time, he also engaged in personal financial dealings by opening a joint bank account with a client, arranging for and accepting a personal loan from a client, and accepting payments from a client relating to at least one of the coffee businesses, among other things. The MFDA also noted that Copland carried out his outside business dealings in Mixed Bean without the knowledge or approval of his employing member; none of the clients’ investments in the shop were carried on for the account or through the facilities of the member. While he submitted an approval form relating to his involvement in R&R, he did not disclose the full nature and extent of his activities there. His request was denied due to the potential for conflicts of interest, among other things. Shortly after that, he said he would not continue the business, but continued to operate it until at least March 2015. Copland was also found to have misrepresented himself as a client’s property manager in a letter to support the client’s application to unlock a pension on the basis of financial hardship. Commencing May 29, 2017, he also failed to cooperate with efforts by MFDA staff to investigate his conduct. Aside from the prohibition, the MFDA slapped Copland with a fine amounting to $175,000 and costs of $7,500.